The Garaventa Lift Xpress II inclined platform wheelchair lift is designed to provide economical access between two landings. The platform travels on two rails which are secured directly to the wall or to support towers, and is propelled by means of a carriage mounted rack and pinion drive system. When the platform is not in use it is folded, taking up minimal space on the stairway. 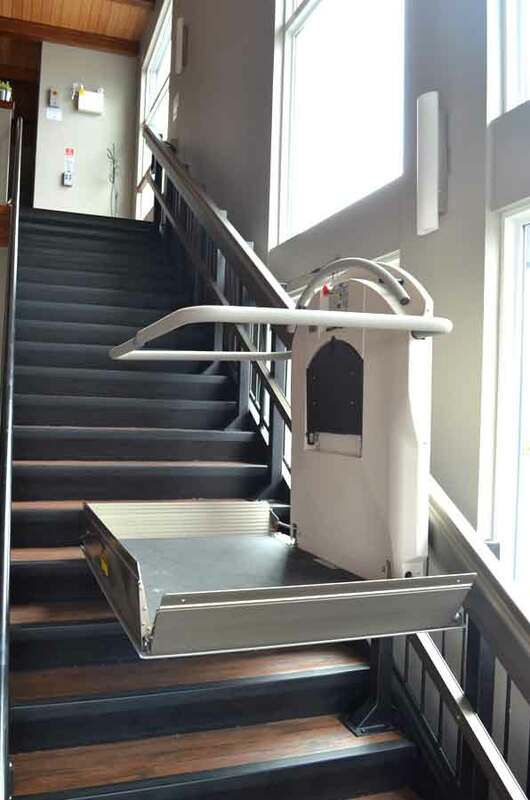 The Xpress II is cost-effective and is ADA compliant. With a variety of standard and optional features available, it can be designed to suit the needs of the user and building owner.